These Patriotic Jello Cupcakes are so much fun. Not only does the cake have jello but so does the frosting making these unique and delicious! I love patriotic holidays! Red, white, and blue decor, stars and stripes, and fireworks are all my favorite! While you are enjoying all of the fanfare that comes along with loving this great nation we call home, enjoy some delicious treats! 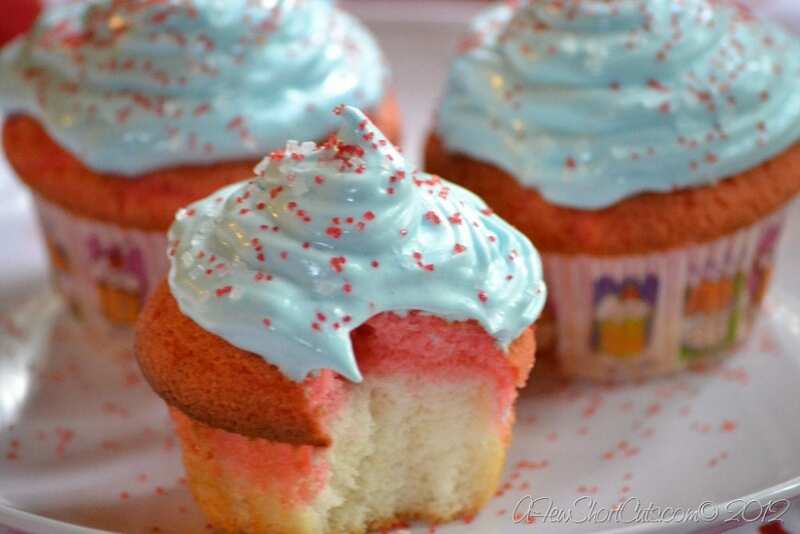 These Patriotic Jello Cupcakes are so much fun to make and even more fun to eat! 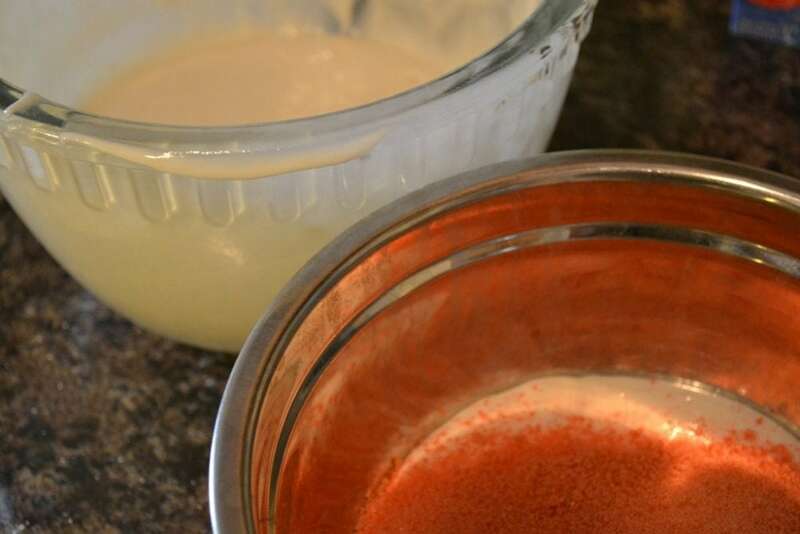 I found this Jello Frosting recipe on Happier than a pig in Mud (I love that blog name!) I thought using jello for its colors and flavors would make for some fun cupcakes and boy was I right! 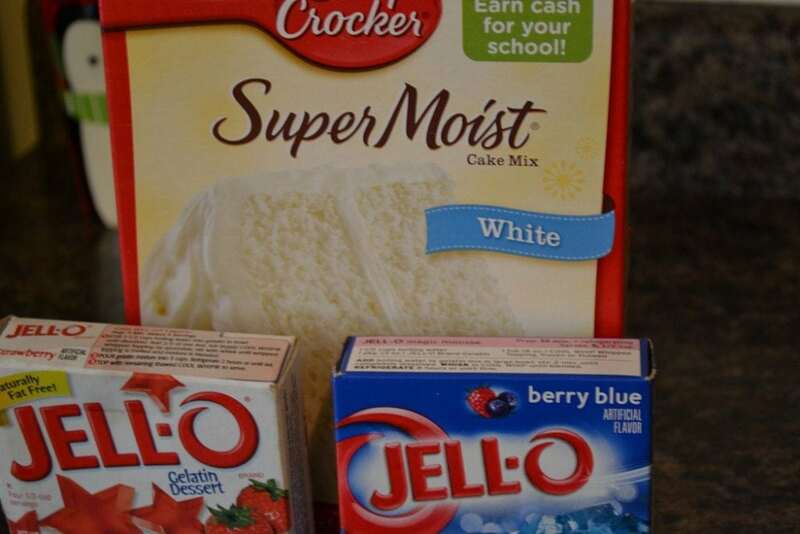 If you have never put jello in a cake before it adds moistness and flavor that can’t be beaten. This frosting is also a new favorite of mine. It reminds me of a meringue. SO SO GOOD! Prepare White Cake Mix according to package. Separate batter into two equal bowls. 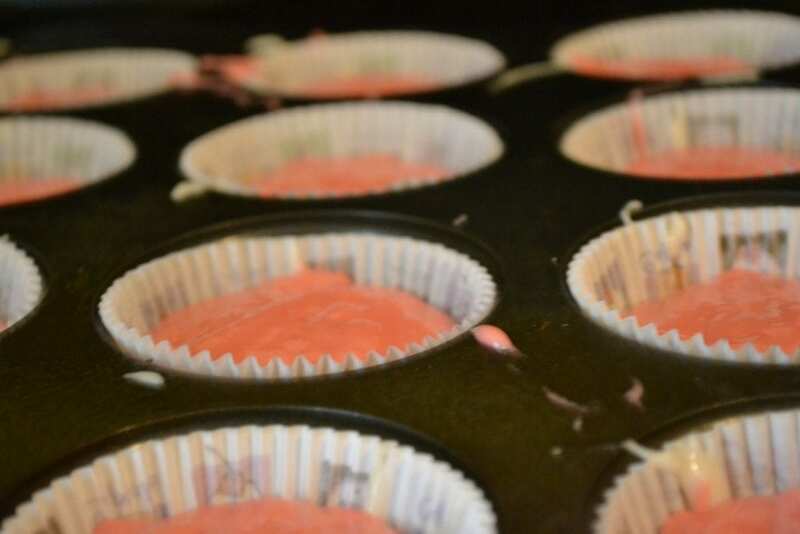 Line a cupcake pan with cupcake liners and fill each cup with 1/3 white cake mix batter and 1/3 flavored cake mix batter. 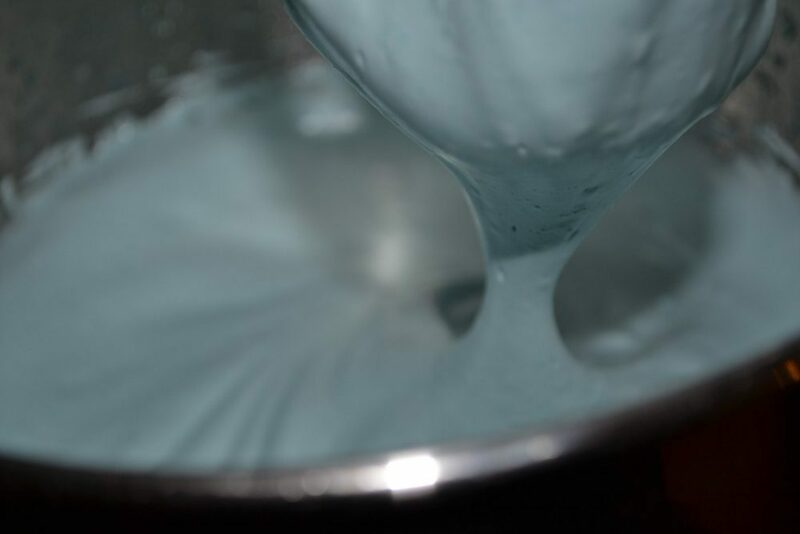 Place the above ingredients except for the Boiling water, in a large GLASS OR METAL mixing bowl (OF A STAND MIXER). Turn the mixer on high just as you can, then add ½ cup of boiling water. Whip on high for 5-7 minutes until stiff peeks are formed. Best eaten day it is made. To get started on your jello cupcakes, gather your ingredients. I had one boxed cake mix left that I wanted to use, but you can use this homemade cake mix recipe too! You can even use a gluten-free mix. Mix the cake batter according to the package in a large bowl. Separate it in half into two bowls. Leave one bowl of batter plain and in the other mix 1/2 (small box of jello). Only 1/2 anymore will make the batter too heavy. If you wanted to flavor an entire cake then you could use the whole box. 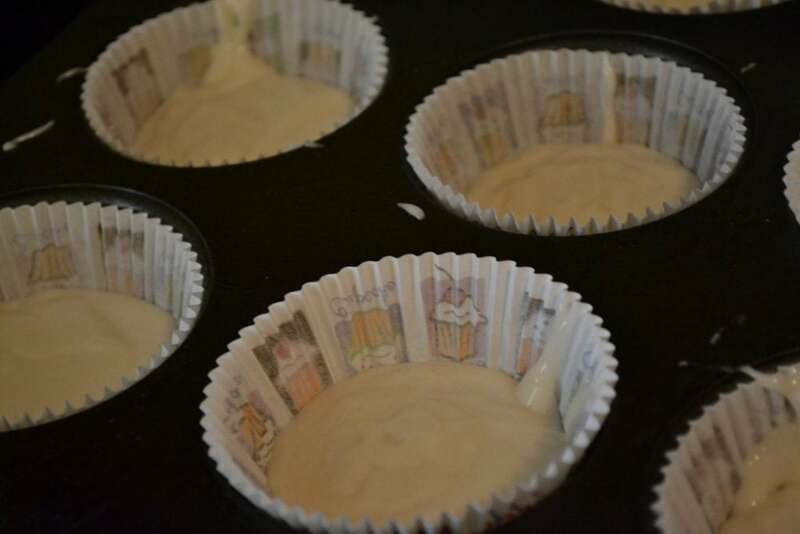 Fill cupcake liners 1/3 full with plain cake batter. Fill the other 1/3 with jello flavored batter. Bake according to package directions. Now comes the fun part. You aren’t going to believe this…call the kids to watch. 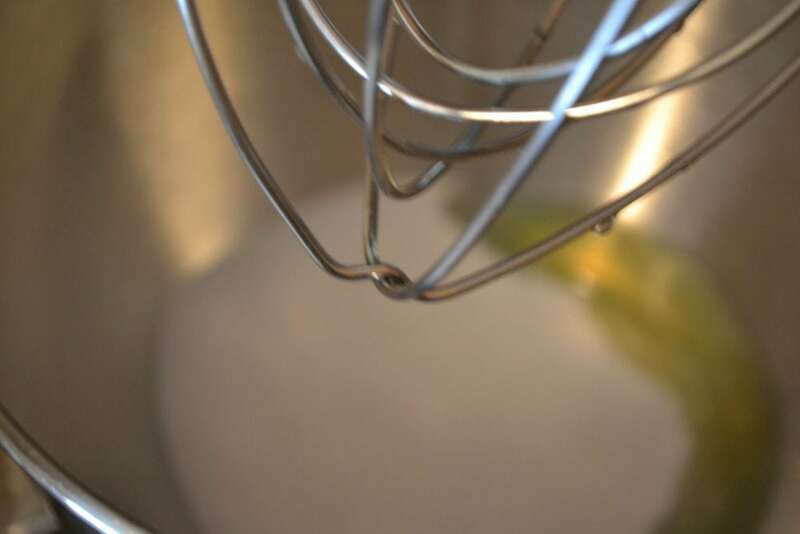 Dump all of the frosting ingredients in the mixer except the boiling water. Turn the mixer on high. 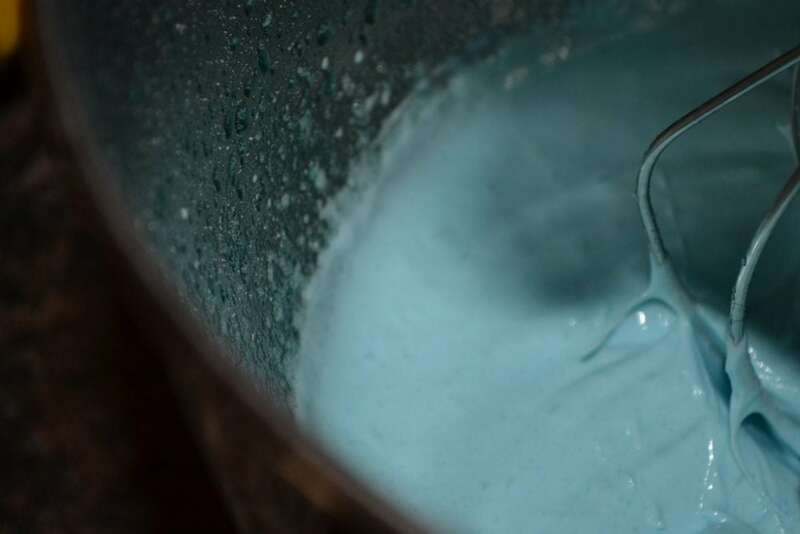 Once it is running pour in the boiling water…Stand back and watch in amazement. Frosting about 3 minutes into mixing. Frosting when finished. It will have the consistency of cool whip. You will know it is done when it creates stiff peaks. 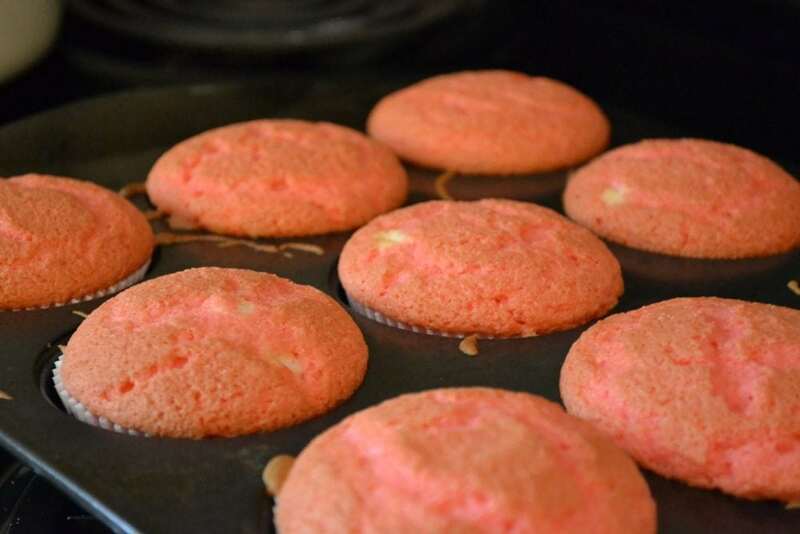 Now those jello cupcakes should be coming out of the oven. Allow them to cool completely. If you are impatient (like me) you can take some help from the fridge or freezer. Pipe on that great Jello Frosting, Sprinkles and serve! Wow, this is amazing! I have never seen a recipe like this before, especially the frosting part. I have heard of the Jello poke cakes, but not it mixed into the batter to bake. Thank you for sharing, it looks like a recipe my family would love! These look great! Thanks for sharing! !